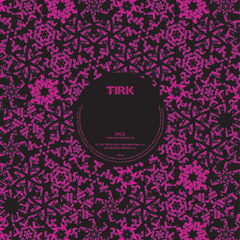 Tirk Records continues shaking up the disco and electronic music world. Do you know about Space? I bet you have heard of their track "Magic Fly" and you only don't know who did it. But do you know that they have sold 12 million records across 5 albums from around 1977 to 1981. They are the underestimated real heroes of disco music. More important is that they are the conceptual pioneers and sacred mentors of the Daft Punk duo. What they have done in the late 70's and 80's had a big impact over the next musical generations. The only problem is that there is a little bit of a memory loss! What Tirk is trying to do is not proving what has already been done but merging it with the contemporary which is very niche, compact and hard to do. So these treated versions of Space's "Carry On, Turn Me On" are probably one of the most important phenomena around the nudisco fauna and so called disco revival now. Already in my top list, these precious reinterpretations are fantastically good enough to say that Tirk has managed to do this so. Something brand new out of 'Space', still familiar, still disco, and after all still cosmic. New Italo maestro Bottin has done the best treatment with a minimizing manner. Simple and bold disco sound! Second Tirk star Architeq keeps on his success on downbeat versions. AN2's version is as cosmic as it gets with a touch of Balearic. 'The Time & Space Machine Remix' has the funk and groove. Original 2009 remaztered edition is still one of my favorites. This is not one of the best but strictly the best EP of this year. Space is back!